Comic fans and movie critics alike went absolutely mad over Batman v Superman, but if you think that’s becoming a more and more common phenomenon… the movie’s cinematographer agrees. At the time Zack Snyder’s stylish sequel divided fans, with most critics citing it as the lowest point yet for the heroes, and the genre. But since then, tensions and reviews have only gotten more heated. More recently, fans made The Last Jedi the Batman v Superman of Star Wars, proving beloved franchises are just as likely to turn critics against them as the fans, or earn praise just as easily. It’s a strange time to be a fan of geek blockbuster – so strange, even BvS cinematographer Larry Fong has given up trying to understand reviewers at all. And I listened to that for a while and was like, ‘Okay, well thanks.’ But then the more I thought about it I thought I’m not going to accept that. Because everyone’s working towards a common goal, right? And Zack’s my brother, I’m not gonna go ‘YEAH!’ you know, ‘HE did a horrible job… but I didn’t! I just did MY job! That’s right!’ I don’t accept that. If you make a baby together you’re proud of that baby. You can’t divide that up. It’s probably worth considering the weighting of a movie review when a film is ‘rotten,’ but the crew responsible for how the movie looks is praised – since film is a visual medium, first and foremost. 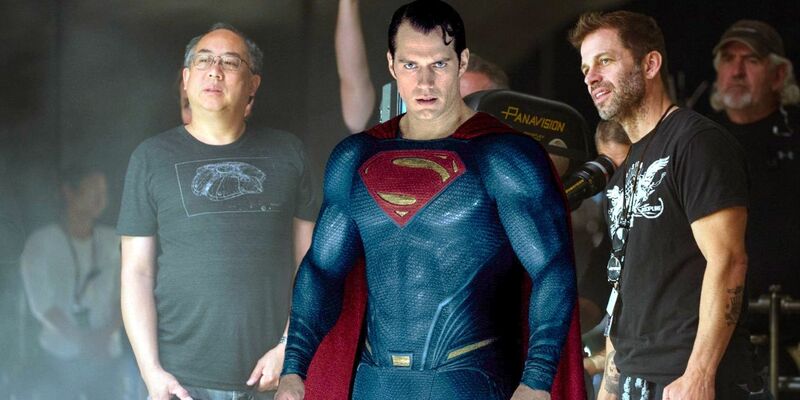 But regardless of where one lands on the movie, or Man of Steel or even Justice League (neither of which Fong worked on, despite the occasional troll on social media), the resulting fan base confirms Snyder’s and Fong’s work was appreciated. I’m not going to pretend I understand anymore [Laughs]. Because I don’t. You know, [critics] see a film… The films I like, no one seems to like, and the films I don’t like, everyone likes. So there’s a disconnect for me. I can’t even pretend to understand how it all works. More movie fans should take his lead, and accept that it’s not a critic’s job to tell audiences what they love or hate. Let us know if you share Fong’s opinion of the impossible-to-rationalize movie review scene in today’s cinema landscape, and be sure to check out the full interview.